From humble beginnings to a well known and successful entrepreneur, Danny Govender has become a respected and trusted visionary and philanthropist, serving humanity in all humility in every way possible. He is clearly a people’s person with vast knowledge both in business and charity. He has the rare ability to undertake and lead challenging projects successfully to fruition. A workaholic by nature, he is not afraid of rolling up his sleeves and working with his team to get things done. As early as 1975 Danny was instrumental in assisting World Vision and Operation Hunger to successfully raise funds to feed the masses that were dying of starvation in the most disadvantaged areas in South Africa. An award winning Sales and Marketing expert, Danny thrives on challenges. He was the director of a Group of companies including Goodlife Finance, DSP Auto, Ultimate Vehicle Solutions and Amandla Glass. His last corporate appointment was with SMG Umhlanga BMW. He is presently the CEO/ Chairman of Goodlife Foundation and Director of DNP Financial. He has a vision and a plan to educate children about HIV-AIDS and feed every hungry child at Primary schools in South Africa. His passion and love is to serve humanity. 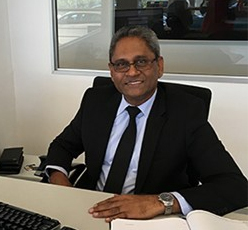 Since 2010 Mr Govender has donated over 70% of his total wealth to charity and continues to render his valuable knowledge and service absolutely free. As a Fitness and Nutrition guru, he advises on healthy living at old age homes and children shelters for free. Going forward he is engaging with like minded people to come on board with their expertise so that together Goodlife Foundation can make a huge societal change in regards to poverty and hunger. Together we can achieve more and make South Africa a better place for all.